Many Apple users can attest to their iPhone screen flickering on a few occasions. 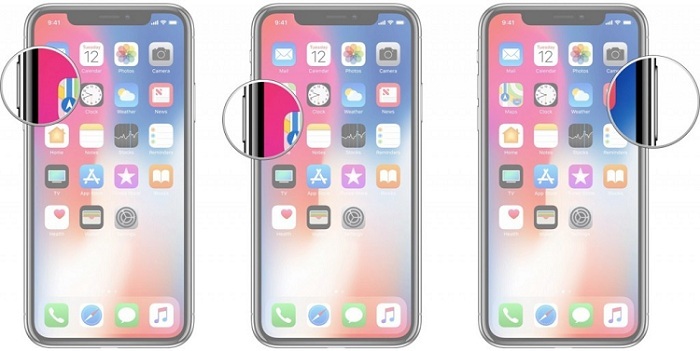 There are various methods that you can use to fix iPhone screen flickering after updating to iOS 12 or iOS 11.4. The information provided will show you simple ways on how to rectify these problems. 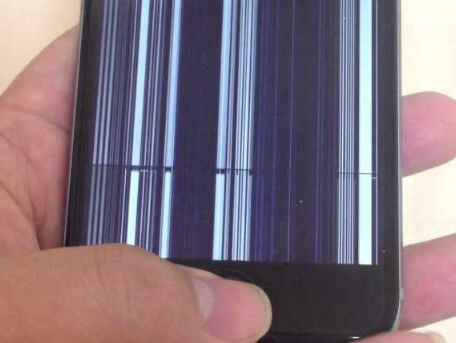 There are many reasons why your iPhone screen flickering. If your iPhone is having memory problems for example, it is running low on memory or having insufficient storage, your device may have problems of performance like unresponsive displays, sluggish performance, random crashes, iPhone screen flickering on and off, apps lagging etc. It may be because of hardware related problems from a broken component in the display circuit board. If your device was dropped or got water damaged, you might not notice any problems immediately but that does not mean the incident did not harm your device. It could also be because your iPhone has software related problems where the software may be corrupted or has a buggy software update that is making your iPhone X/8/7/6s/5/4/Plus/SE to have screen flickering problems. Most of the issues you experience with your iPhone can be fixed by simply rebooting your phone. 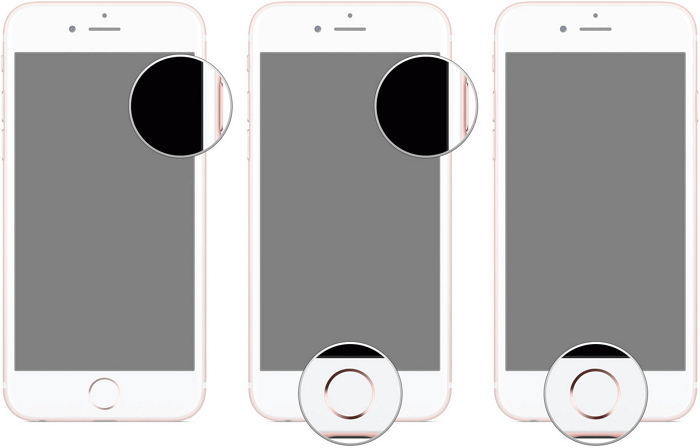 By holding down the Sleep/Wake and Home buttons at the same time until you see the Apple logo appear. You should also make sure your phone battery is charged well and that it is not faulty as this could lead to iPhone screen flickering on and off. 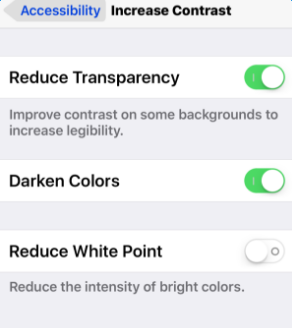 Go to your iPhone Settings and scroll down to Display & brightness. 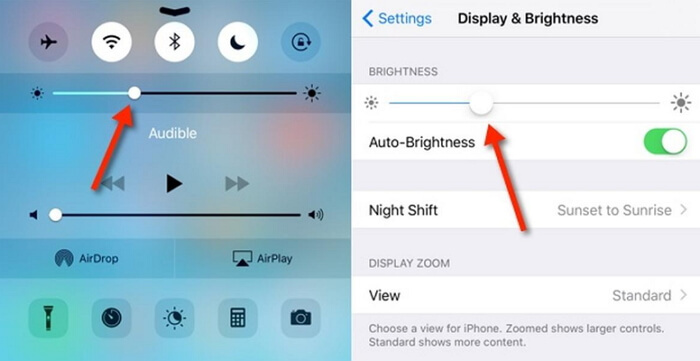 Turn down the brightness of your iPhone as far as possible then disable Auto brightness. Let it stay in that state for about 10 minutes to set its brightness back to its original state. This will make your iPhone screen to stop flashing. When the internal storage of your iPhone is insufficient to carry out additional processes, the phone may start misbehaving. Apart for iPhone screen flickering on and off the phone may have a frozen or unresponsive screen. Once you realize your phone’s memory is almost full you should delete old text messages and media files, unused apps and any other useless files or details stored in your phone. This is a temporary solution to iPhone screen flickering. This is a method for sorting out the problem of an unresponsive touchscreen and the random flickering of your iPhone’s display. Follow the next steps. Go to your device Settings and click on the General tab. Scroll to the Accessibility tab and click on it. Then click on Increase contrast. Lastly, go to Reduce transparency then turn it on. The DFU mode means Device Firmware Update Mode. It is a complex method that allows you to make changes to the operating system of your device. 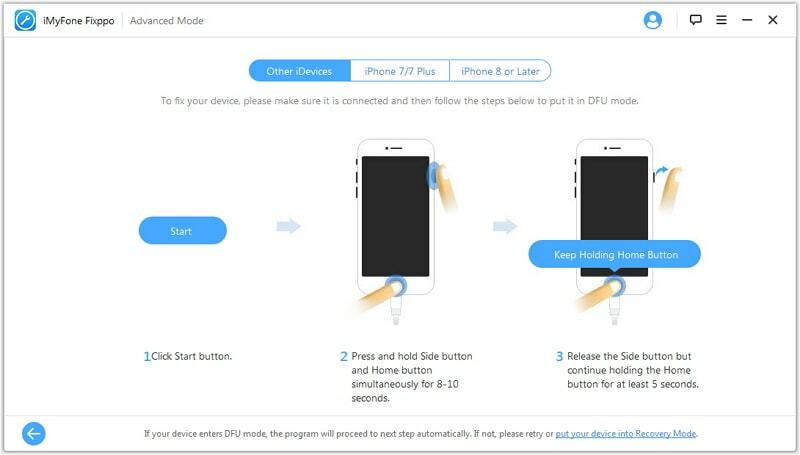 These are the steps of putting your iPhone 8 into DFU mode. step 1: Using a data cable connect your iPhone to your computer then launch iTunes and turn off your device. Step 2: Press the Power tab for a few seconds but do not release it then hold down the Volume down button. Step 3: Continue holding down the Power and Volume down tabs for 10 seconds then release the Power tab but keep holding the Volume down tab for 5 seconds. Step 4: If your iPhone screen remains black and does not show recovery mode, you have been successful in putting your iPhone in DFU Mode. iMyFone iOS System Recovery is a repair tool for all iOS devices and its versions that can fix various iOS issues on your iPhone or iPad returning it back to its original functioning state. This is an app that is fully compatible with all iOS devices and versions and iPhone X, 8, 8 Plus. This app will help you fix serious issues on your iOS devices using three modes, the Standard mode, Exit recovery mode and the Advanced mode. You can also use this app to fix various not so serious home issues with your iPhone like if your iPhone will not turn on or is frozen, if your iPhone will not restore or if it has a black or white screen of death etc. 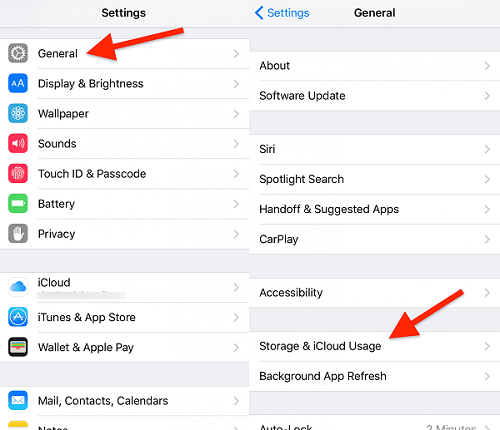 Steps on How to Fix iPhone Screen Flickering without the Standard Mode of iOS System Recovery. Step 1: Download and install iMyFone iOS recovery system on your computer then launch it. Step 2: Using a lightning cable connect your iPhone to your PC then tap on the Standard mode tab to start the process. Step 3: When in Standard mode the app will request you to put your device on DFU/Recovery mode. Click on Recovery mode and follow the onscreen steps. 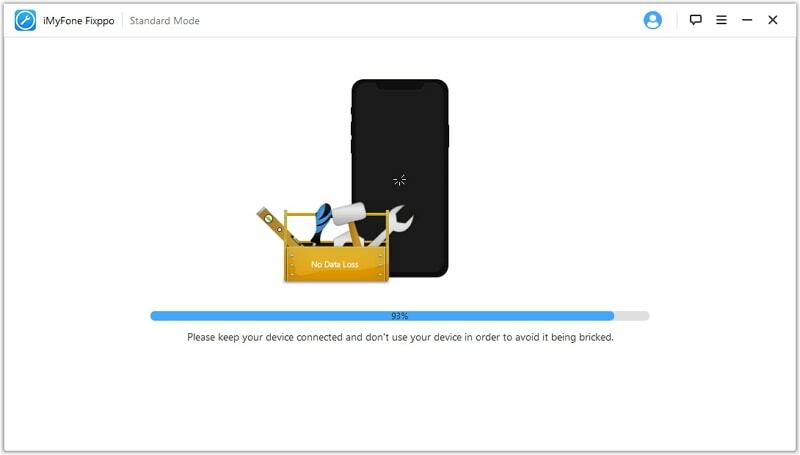 Step 4: Once on Recovery mode the program will detect your iPhone and will require you to confirm your device details then click Download to download the firmware. If you want to download another firmware, download it elsewhere then click Select it to install it on your iPhone. Step 5: Once downloaded click Start to fix for the program to automatically repair your iPhone and solve iPhone screen flickering after update issue. If you have tried all the methods and the screen problem persists then the iPhone hardware could be the problem. If your iPhone’s warranty is expired, you can follow these methods that can rectify your problem. Make sure your iPhone screen is clean as dust and dirt that accumulates on the screen can make the device’s touchscreen unresponsive and have display issues. Replace a defective LCD screen as it can cause you device to freeze, have an unresponsive screen or flicker when being used. You can either replace it by yourself or ask a professional to do it for you. As an iPhone user you will have issues with your iPhone screen flickering on and off once in a while. With the above solutions you can now fix such issues without a lot of fuss.